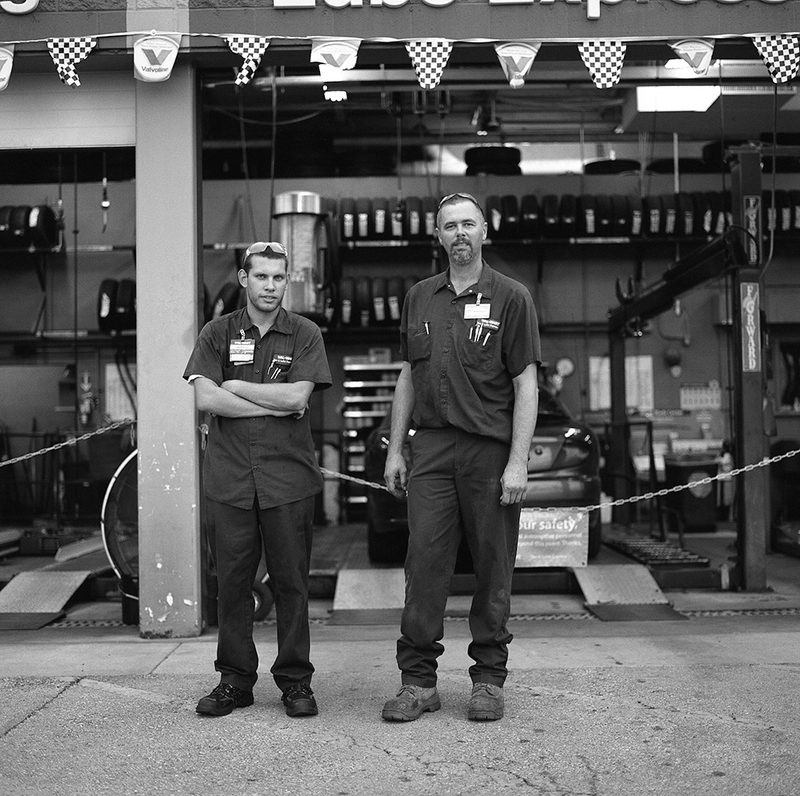 ©Diane Durant, Christopher and Randy, Wal-Mart Tire & Lube Express, Farmington MO. Diane Durant’s project title- Between Here & Cool- is best spoken, and when you say it aloud try to use an accent like you are from Texas. If I were rich, I would commission Willie Nelson to record Diane’s artist’s statement and add the audio file to the post here. You are hereby authorized to use the phrase y’all. Diane Durant (b. 1978) is an artist, writer, mother, professor, doctor of philosophy, procurer of used books, a former cyclist, coffee enthusiast, backpacker, wayfarer, and armchair soccer-style kicker. She lives and works in Fort Worth, Texas with her daughter, their growing collection of vintage cameras, and a multitude of stray cats. More often than not, she eats cake for breakfast. Diane is a graduate of Baylor University (BFA ’01), Dallas Theological Seminary (MA/BC ’04), and the University of Texas at Dallas (MA ’07, Ph.D. ’13) where she currently serves as a Senior Lecturer in Photography. She is the former president of 500X Gallery in Dallas and past editor of The Grassburr, The Rope, Sojourn, and Reunion: The Dallas Review. Her creative writing has appeared in di-verse-city, riverSedge, Borderlands: Texas Poetry Review, Stymie, and the Texas Poetry Calendar. 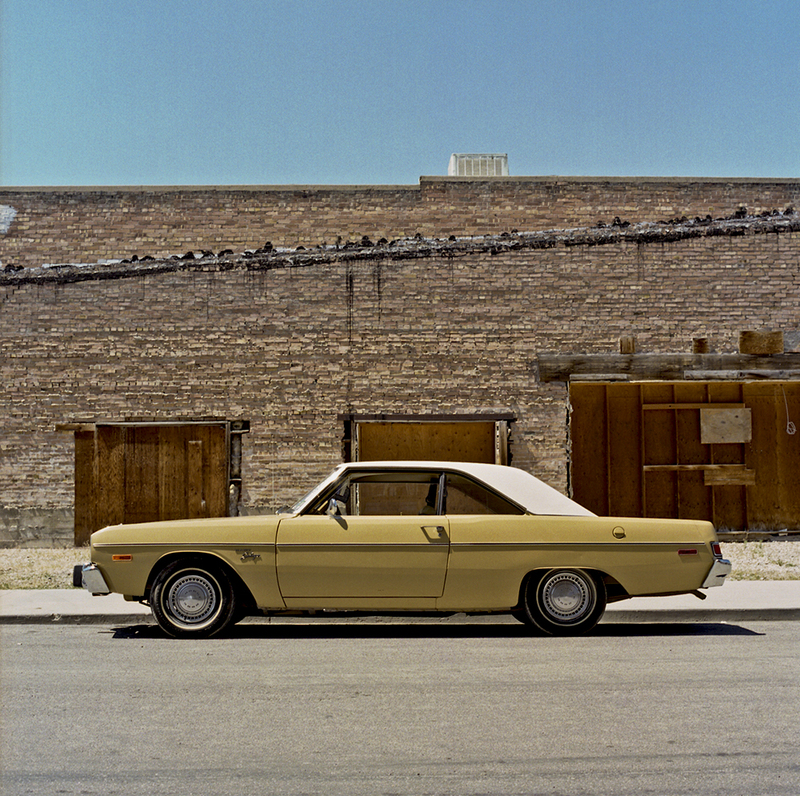 Her photographs have been exhibited coast to coast, from San Francisco and Seattle to New York and Vermont, with a few stops in the Midwest along the way. In 2015, Diane took her adventuring to Wyoming as the Artist-in-Residence at Bighorn Canyon National Recreation Area. It all started with a title. 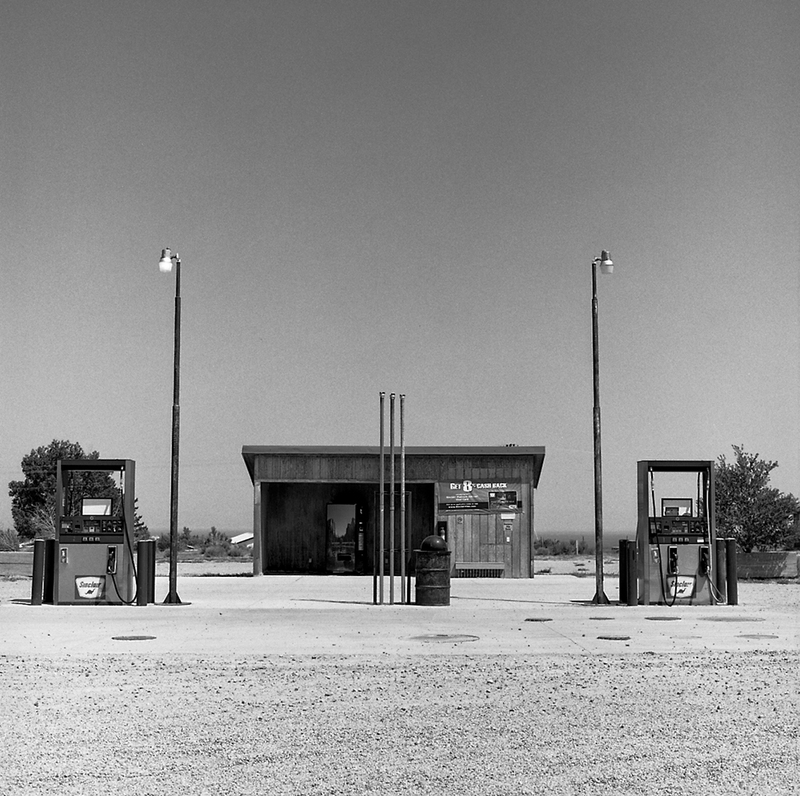 Like Ed Ruscha’s Twentysix Gasoline Stations, Between Here and Cool arose out of a phrase stuck in my head like a bull nettle stuck to my sock. (Rub cow manure on a bull nettle sting, my grandmother would say.) I had to do something with it, so I wrote a short screenplay about two country boys who find a Christmas tree on the side of the highway in February. That highway cut the county in half, stretching straight out from where they were on the eastern border to a real-life small town on the western border called Cool—between here and Cool. I knew because I lived there—er, here. It wasn’t autobiographical but it could have been, if only I was two country boys. But I dared to do something more with the phrase, with the experience of a place, with the idea of cool. Then I got an email. Grant proposals for graduate student travel were being accepted through the university. I needed an idea, a hope, a layup, but for years my subject was my hometown, and I’d already exhausted every farm to market road on the map. Besides, I didn’t think the 32 miles between Horseshoe Bend and Poolville were exactly what the Graduate Dean had in mind regarding travel. Where can I go where can I go where can I go? 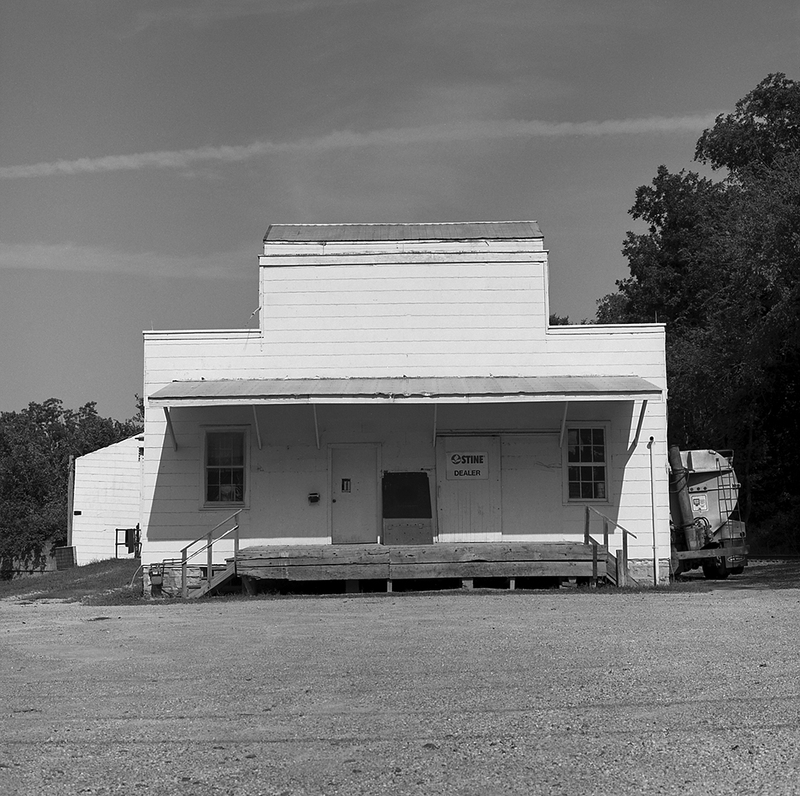 Prior to the email, I was struggling with the fear that I was limiting myself, or at least limiting my creative output, by focusing so narrowly on Parker County. 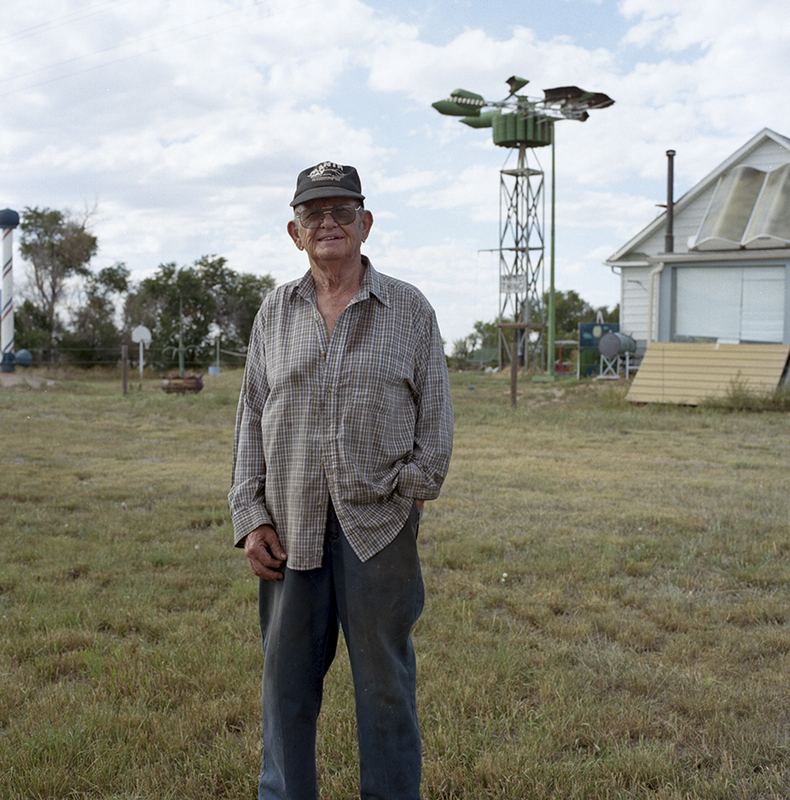 I wanted to capture the truth of Texas, but the truth of Texas wasn’t much different from the Hollywood stereotypes of the small town and the clichés of the cattle herder, which didn’t leave me with anything new to say, or so I thought. I had to leave Texas. Or rather, I had to let myself leave Texas. I needed to find another Cool, and to my delight, there were two. I received the grant and began planning my itinerary immediately. Traveling the back roads and blue highways, it was 5,926.4 miles between here and Cool—between Cool, Texas; Cool, California; Cool, Iowa; and home again. 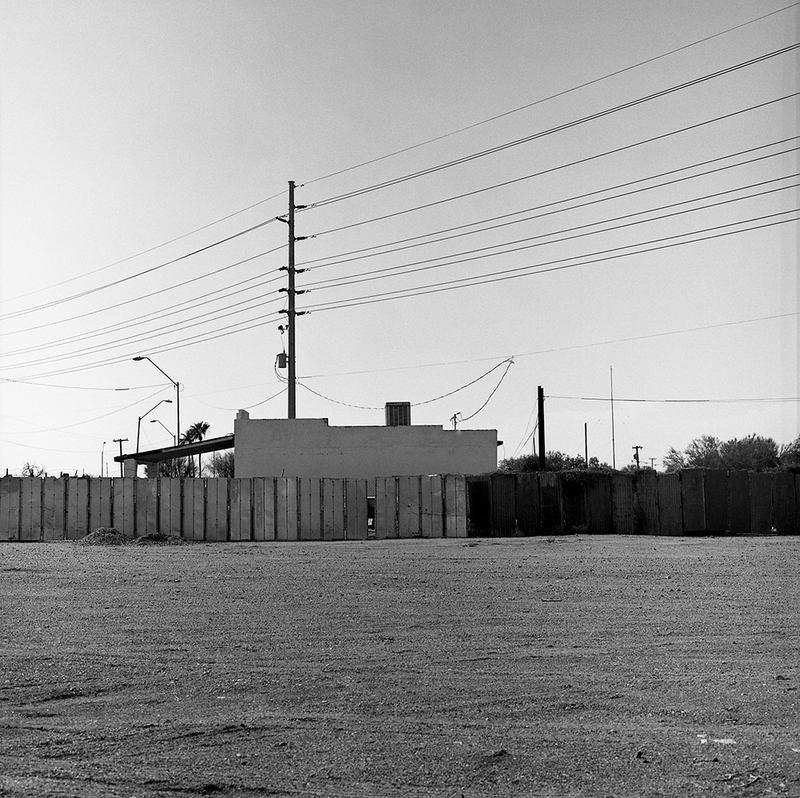 Boldly, and sometimes foolishly, I encountered the American landscape, its dreams, its inhabitants, and pushed my own automobility far beyond what I ever thought possible (actual and metaphorical). 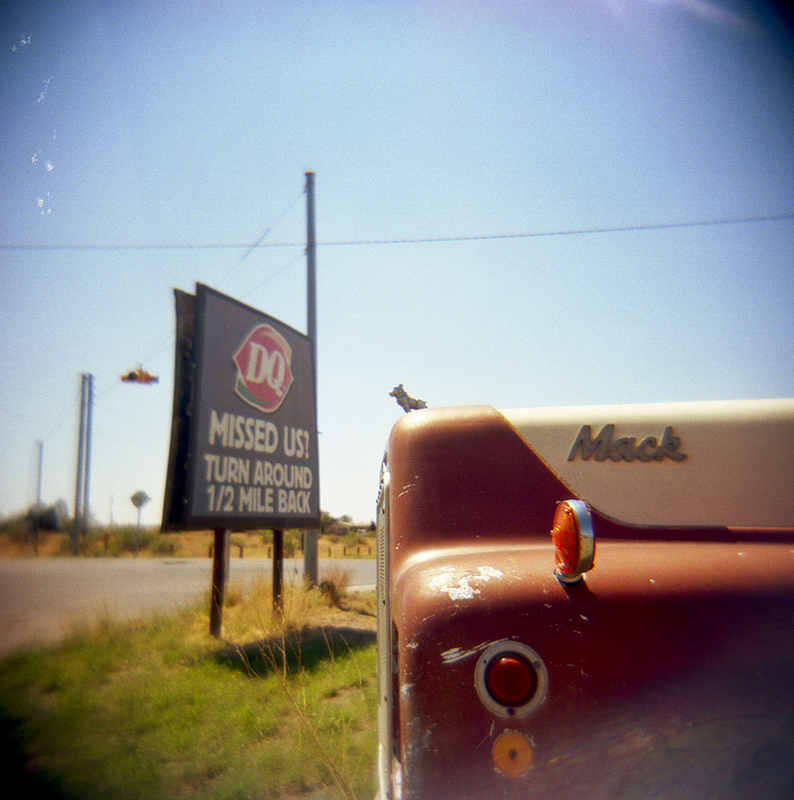 In the grand tradition of the American road story, I documented my 18-day experience through image and text, relic and road-trip ephemera, yielding to that insatiable desire we have as human beings to get in the car and go—even if we’re going alone—and then to tell about it. What happened there, in a short list: 1 moving violation (warning); 4 rolls of film loaded incorrectly or wound improperly and thereby effectively ruined; 30 minutes lost while being thoroughly searched at a Border Patrol checkpoint; 2 more Border Patrol checkpoints; 1 wedding ceremony; 1 friend’s birthday (missed); 1 evening with motel furniture propped up against motel room door for added security (long story); more than 1 long story; 2 “loads” of laundry washed in motel sinks; 1 evening worrying about the upcoming 3 days in the Grand Canyon; 3 days in the Grand Canyon; 1 Mel Gould, self-proclaimed tinkerer; 18 souvenir t-shirts; 22 souvenir coffee mugs (Wyoming has the best coffee mugs); 32 delightful strangers; 1 Firestone 15″ 195/65R15 tire (flat); 2 mechanics; 16 postcards mailed home; 8 postcards mailed to Mama; 5 postcards mailed to Grandmama; 46 (roughly) dropped calls; 6.2 miles run around Area 51; 1/4 lb of Green’s Creek Gruyere (I left my cheese in Marfa); 17 stops for gas; 13 honks from passers-by; 14 motel beds; 54 meals; 6 cameras; 1 light meter (lost); 56 rolls of film; more than 1 way to go; more than 1 dead end. But don’t just take my word for it; I have proof. ©Diane Durant, Mel Gould and WindThing, Cheyenne WY. 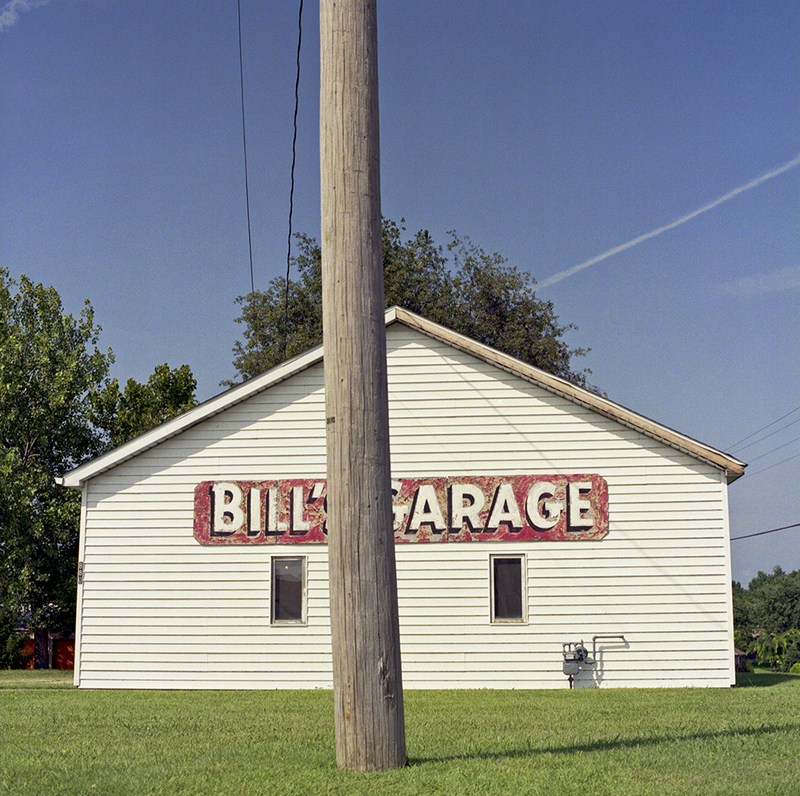 ©Diane Durant, Bill’s Garage, St. Genevieve MO. 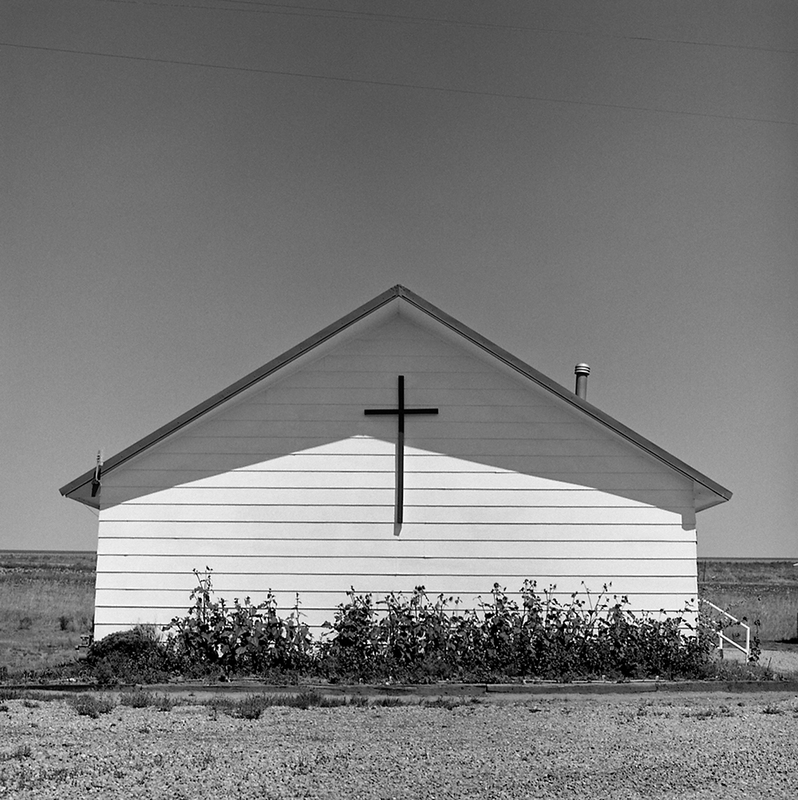 ©Diane Durant, Wamsutter Baptist Church, Wamsutter WY. 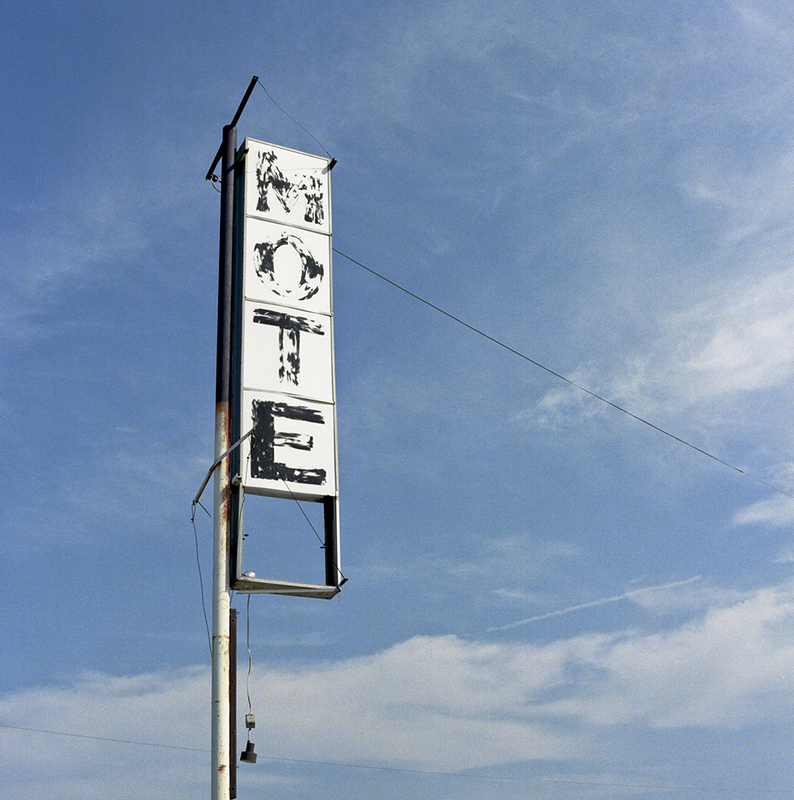 ©Diane Durant, Triangle Inn Motel, St. Genevieve MO. ©Diane Durant, RTE66 Stoveworks, Seligman AZ. ©Diane Durant, Champs Sports Bar, Ely NV. ©Diane Durant, Circus Circus Hotel & Casino, Las Vegas NV. 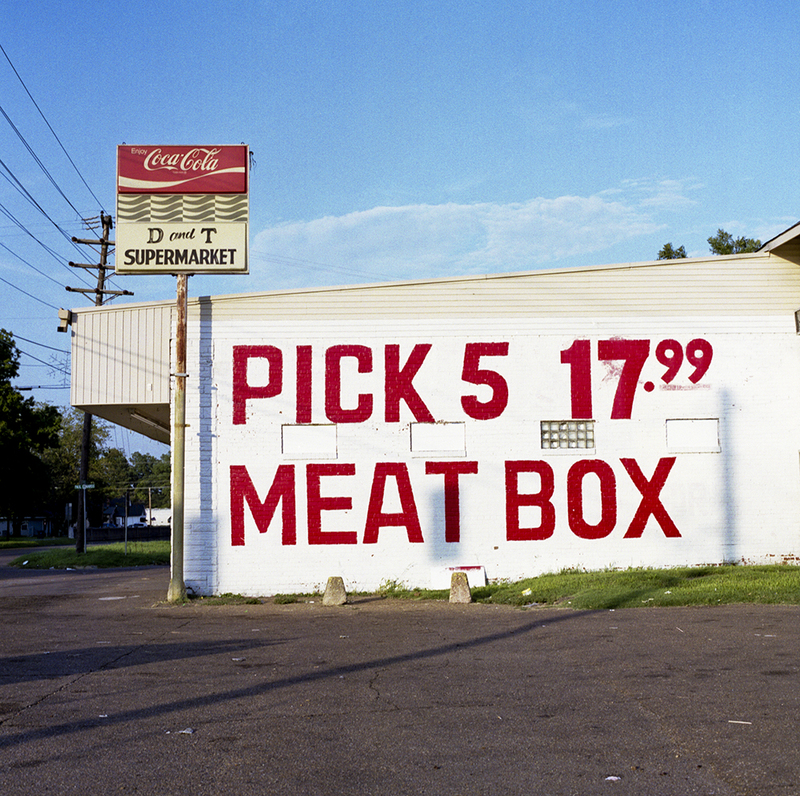 ©Diane Durant, Mike’s Fish Market, Tallulah LA. 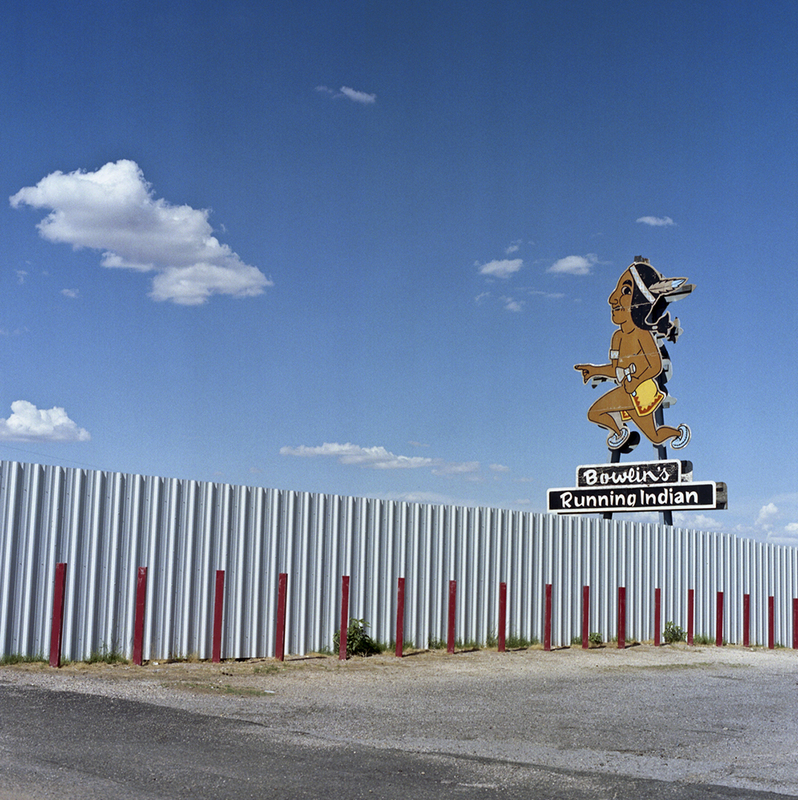 ©Diane Durant, Bowlin’s Running Indian, Deming NM. 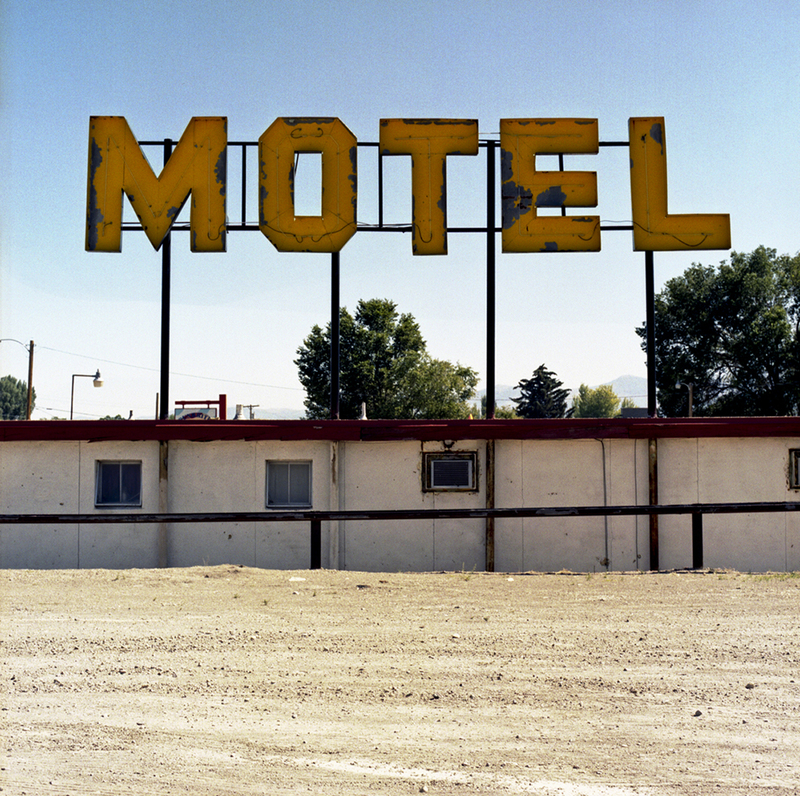 ©Diane Durant, Deser-Est Motel, Ely NV. 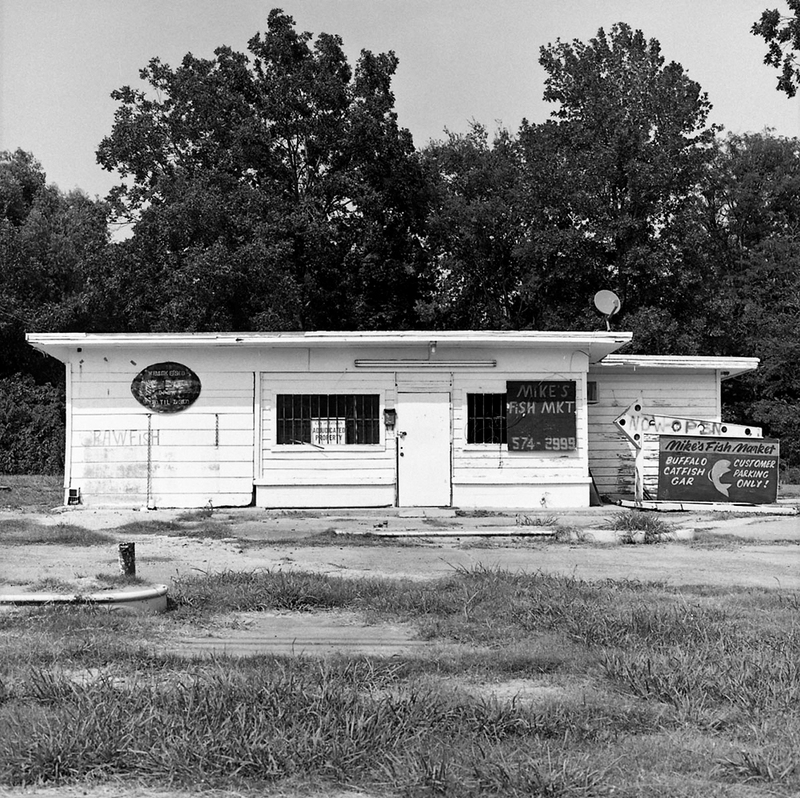 ©Diane Durant, Quarry, Maintenance, & Allied Workers 830, St. Genevieve MO. 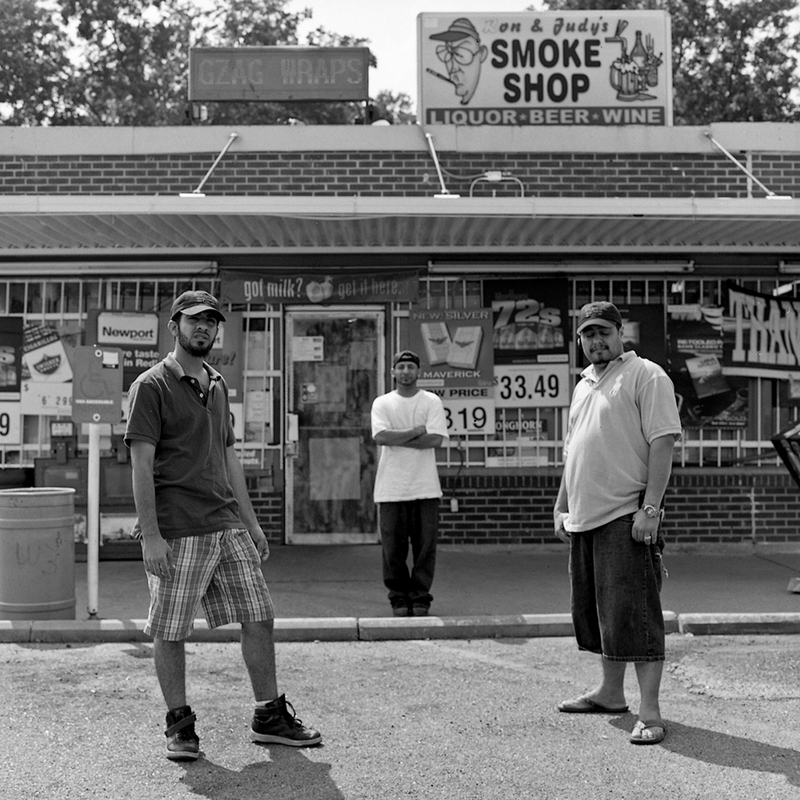 ©Diane Durant, Ron & Judy’s Smokeshop, Tallulah LA. 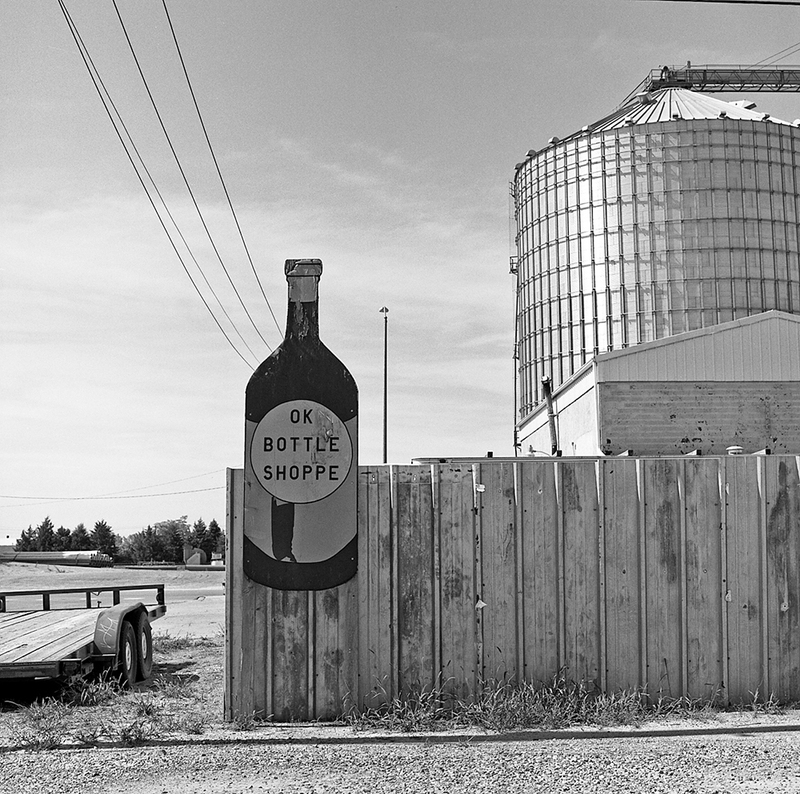 ©Diane Durant, OK Bottle Shoppe, North Platte NE. 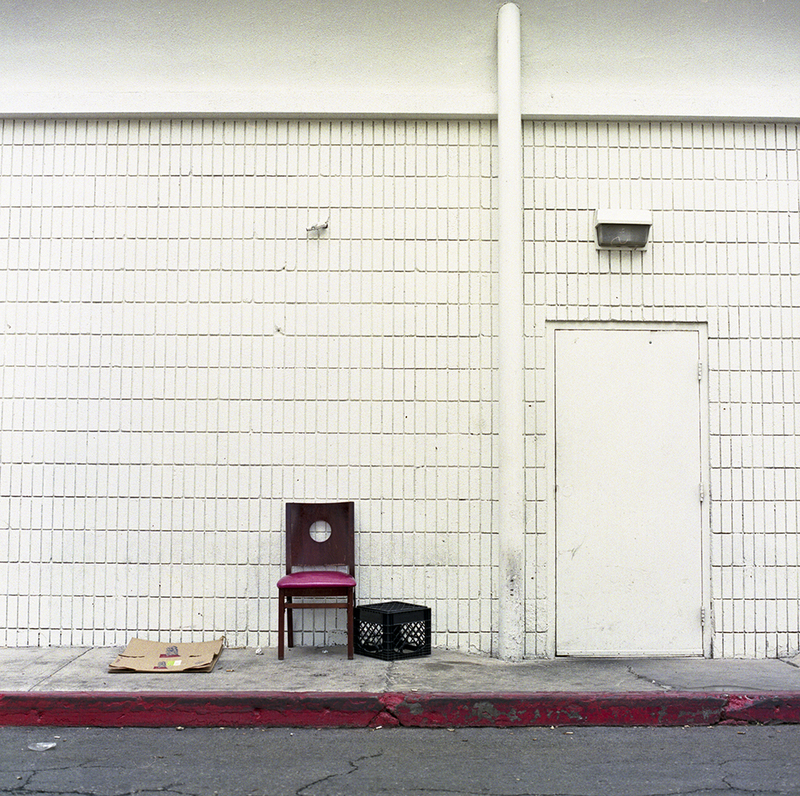 ©Diane Durant, Sinclair, Baker NV. 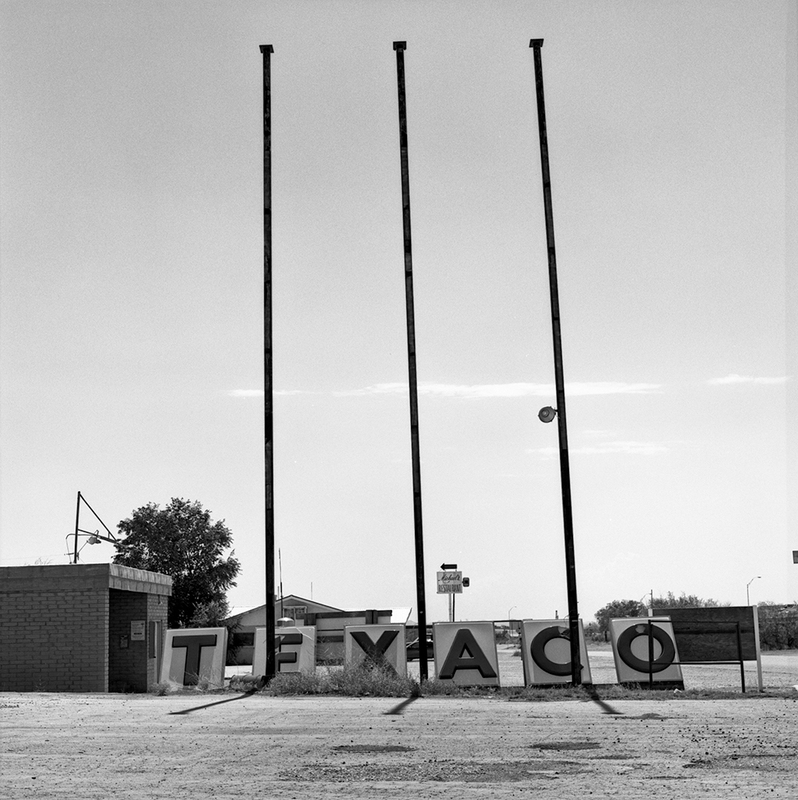 ©Diane Durant, Texaco, Sierra Blanca TX. 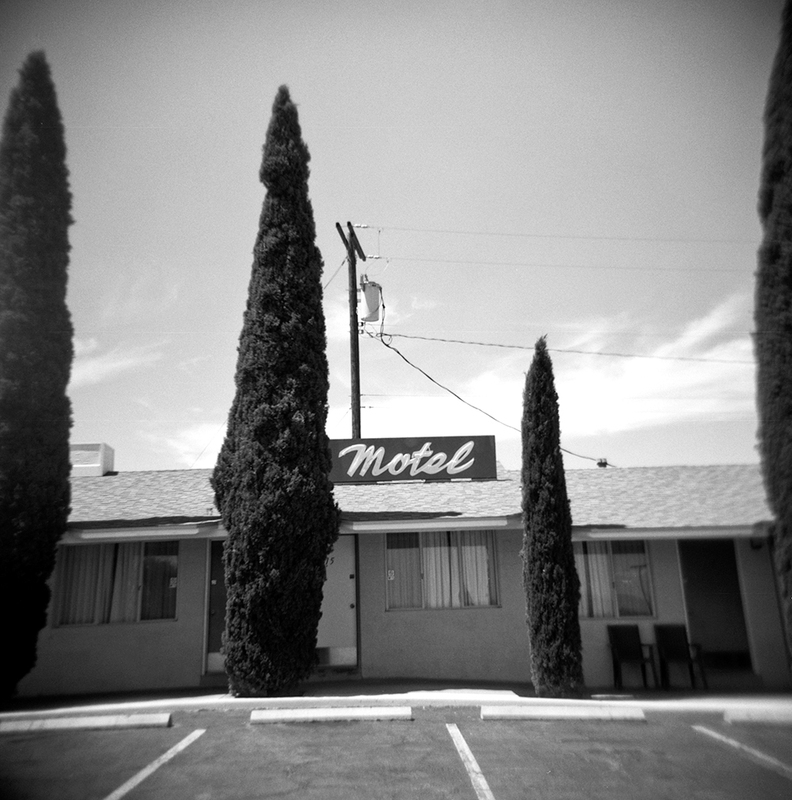 ©Diane Durant, Hilltop Motel, Kingman AZ. 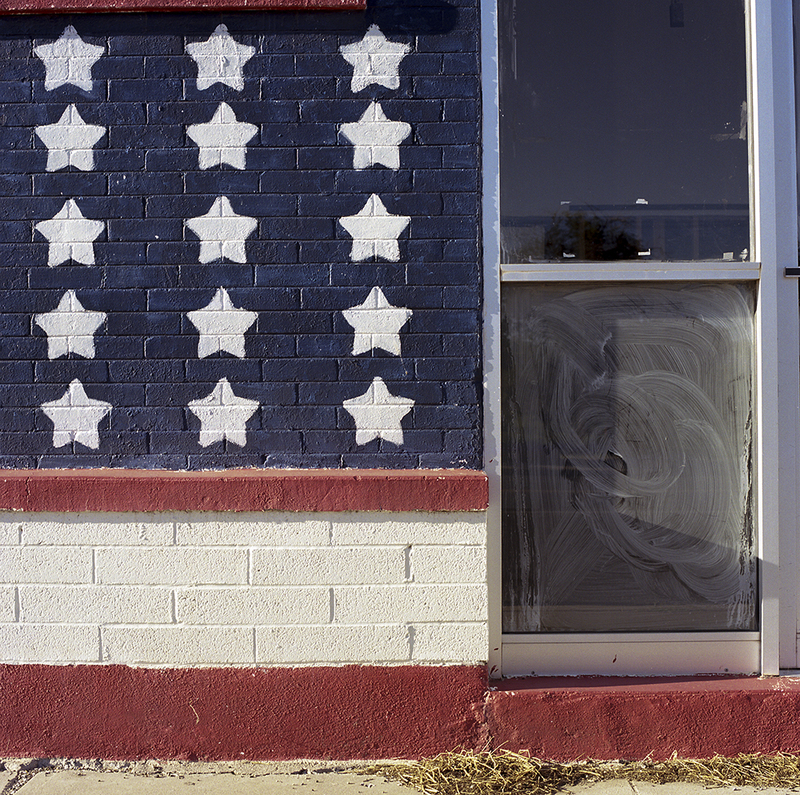 ©Diane Durant, D & T Supermarket, Clarksdale MS.
©Diane Durant, East Frontier Street, Eloy AZ.